Along Cornwall's ancient coast, the flotsam and jetsam of the past becomes caught in the cross-currents of the present and, from time to time, a certain kind of magic can float to the surface...Straying husbands lured into the sea can be fetched back, for a fee. Magpies whisper to lonely drivers late at night. Trees can make wishes come true - provided you know how to wish properly first. Houses creak, fill with water and keep a fretful watch on their inhabitants, straightening shower curtains and worrying about frayed carpets. A teenager's growing pains are sometimes even bigger than him. And, on a windy beach, a small boy and his grandmother keep despair at bay with an old white door. In these stories, Cornish folklore slips into everyday life. Hopes, regrets and memories are entangled with catfish, wrecker's lamps, standing stones and baying hounds, and relationships wax and wane in the glow of a moonlit sea. 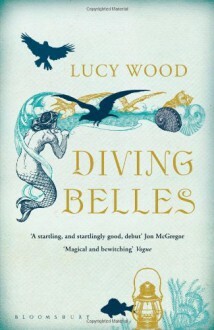 This luminous, startling and utterly spellbinding debut collection introduces in Lucy Wood a spectacular new voice in contemporary British fiction. Made for 4 Extra. Amanda Lawrence reads Lucy Wood's story.Story #2 - I must have a closer look at my Astral Cream pot....Lovely writing, whimsical stories, delightful.